Even though we still have a week before Halloween my brain is starting to transition over to Thanksgiving and Christmas. That means today’s Crafting with Kids! craft is one that could be used for all 3, plus more. 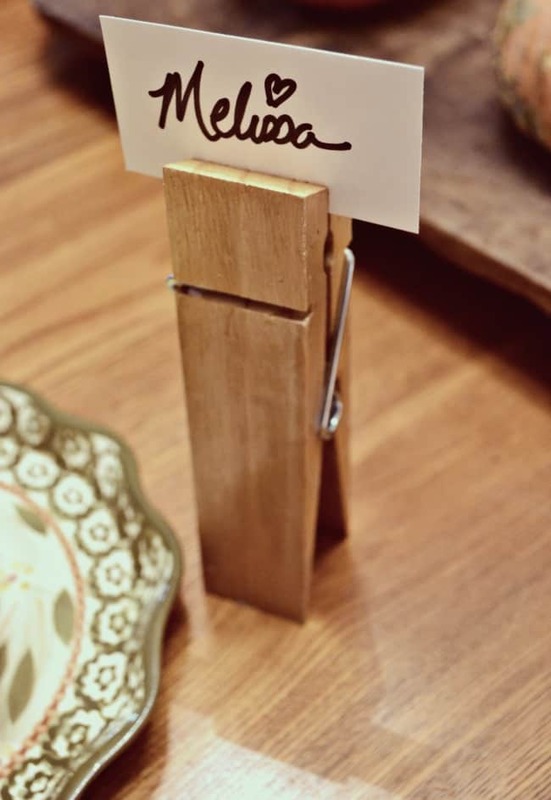 This is a super duper simple way to create place card holders for your upcoming guests. 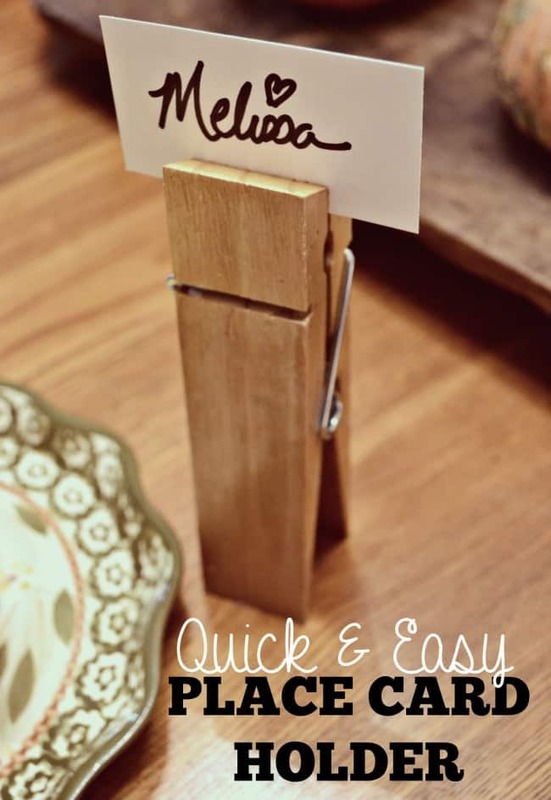 Whether you are planning on throwing a Friendsgiving, hosting a big family Thanksgiving or Christmas party or maybe you are coming up with ideas to place hold the spots for your wedding this simple idea is perfect for that. Paint your clothes pin and add embellishments if you choose. That really is all there is too it. I told you it was quick and easy didn’t I? We choose to paint ours something simple and went with metallic gold but depending on what you want to use yours for there are so many options you could go with. You could paint yours Christmas colors or maybe even do a design on them like chevron or hounds tooth. If you wanted to use this idea for your wedding then how about choosing colors that match your wedding party? I really wanted to add glitter to ours but I didn’t have any loose glitter on hand but I think that would be awesome. I love all things sparkly. Another great idea since this is in my Crafting with Kids! series is to let your kids decorate them as they desire. That would be a lot of fun, especially if you are just having a family gathering. They could even decorate them like people and their ideas of what the guests looked like. Love that idea! Really the different ways you could take this simple place card holder is unlimited. Want more of the Crafting with Kids! series? You can find all of the ones posted here. Plus check back every Saturday for a new one. Quick Halloween crafts for kids, 30 minutes or less!